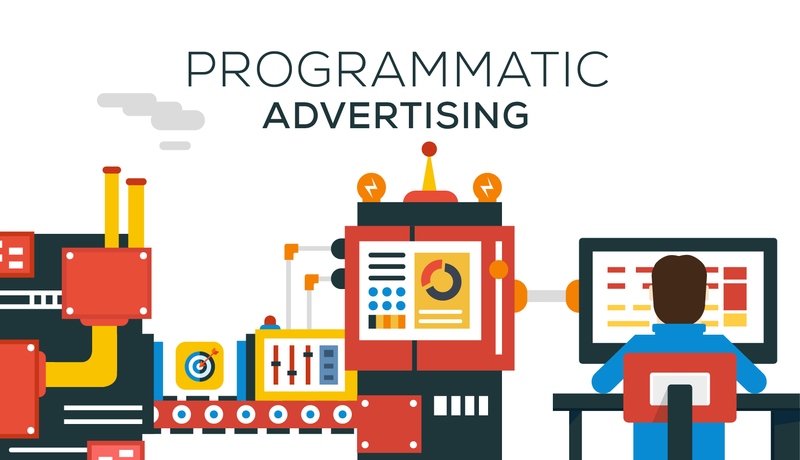 A few months ago, as I was browsing the net for new topics for my blog, I stumbled upon the term ‘programmatic advertising’. It caught my attention straight away and I decided to check it out. I am a digital marketing professional, but to be honest, this was the first time I was learning about programmatic. 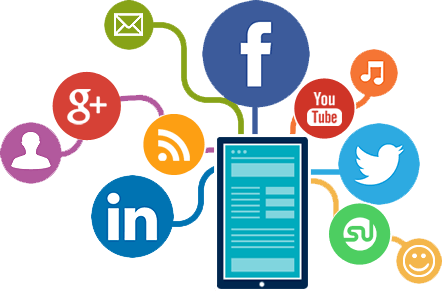 I have been more inclined towards marketing automation, email marketing and social media, but haven’t had too much exposure to digital advertising. I have done social advertising in the past on some of my previous jobs and as a freelancer for clients, but more in the form of strategy rather than execution. For quite some time, I have been using social advertising to promote one of my two brands – Something for Everyone and a Pinch of Salt. I’ve mainly done it through Facebook because it provides the best features for doing so. But programmatic is a whole new level of digital advertising. First of all, let’s start by explaining what exactly programmatic is. Put in the most simple way, it means the use of software algorithms to buy digital advertising space. It is an optimised way, which is much more convenient and effective than traditional ad buying. The targeting is more precise as it is data-driven and, therefore, offers a more personalised customer experience. If you are searching for specific products or services, and then you start getting served ads based on what you were looking for, you wouldn’t block these ads, would you? On the contrary, if you are served ads that are of no relevance to you or your current interests, you would get annoyed and would want to stop seeing these. This is why programmatic is so good- because it feeds data to technology, which serves the ad to the right person, at the right time in the right context. Logically, the next question is how it works. Of course, it’s quite complicated and the process could be quite technical as well. As the Internet grew a lot in the past years, the demand for ad space grew with it. Publishers emerged from every corner and the online ad campaigns became more aggressive and less customer-oriented. This is when ad blockers became trendy and threatened the world of digital advertising as they were preventing advertisers from reaching their audiences. Ad blockers, however, served as an alert that something in the digital advertising world should change. And this is how companies started adopting this new and smarter way of advertising, which was focusing on quality rather than quantity. Through Demand-Side Platforms (DSP), advertisers started buying impressions in an automated fashion, removing salespeople and human ad buyers from the process, thus making it cheaper and more efficient. DSPs are usually linked to Data-Management Platforms (DMP), which provide the data (location, browsing history, online behaviour, language etc.) advertisers need for better targeting. DSPs then access online marketplaces called ad exchanges where publishers make their impressions available. Based on the data they have from the DMP, demand-side platforms decide which impressions to purchase automatically and then place a bid (the process is called real-time bidding). The highest bidder wins and their ad is served to the user straight away. The whole process takes milliseconds, the time which is needed for a webpage to load. 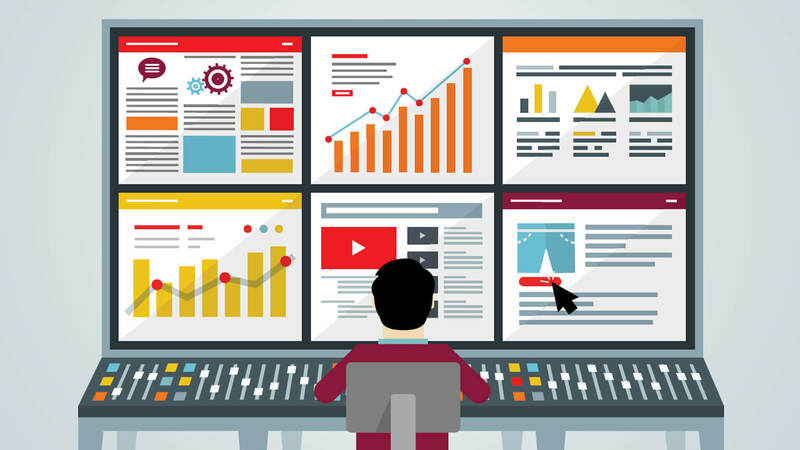 DSPs are designed to make the ad-buying process cheap and efficient for advertisers. This, however, is not in the interest of publishers who want to sell their impressions for the highest price. For this purpose, Supply-Side Platforms (SSP) were created. They are the publisher’s equivalent of DSPs and are designed to maximize the prices their impressions sell at. Both types of platforms use similar technology. 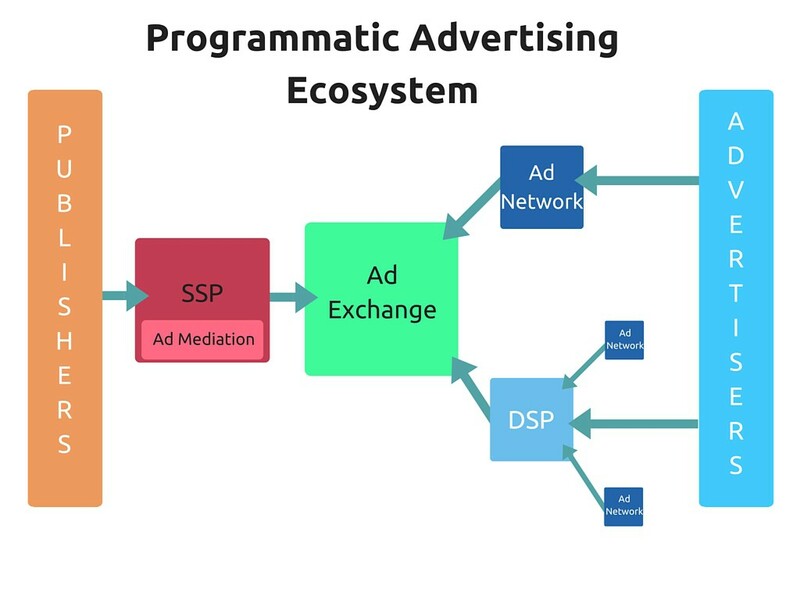 The whole programmatic ad process, in a nutshell, includes: 1) publishers connect their inventory to ad exchanges through supply-side platforms; 2) advertisers then access those ad exchanges through demand-side platforms, which decide what impressions to buy and bid for them; 3) through an automatic process, the highest bidder is determined and their ad is served to the user. It should be noted here that real-time bidding is only one type of programmatic advertising. Sometimes, publishers sell ad inventory at fixed prices instead of auctioning them off, which is called programmatic direct. Technology and machine learning are changing dramatically the way marketing is done nowadays. The processes become optimised, more efficient and help marketing campaigns achieve their goals to a higher extent and for a lesser budget. Machine learning algorithms, employed in programmatic advertising are expected to generate around $42 billion in annual advertising revenue by 2021 (source: Papyrus). Programmatic advertising is not just efficient- it leads to more sophisticated, targetted and smarter campaigns. 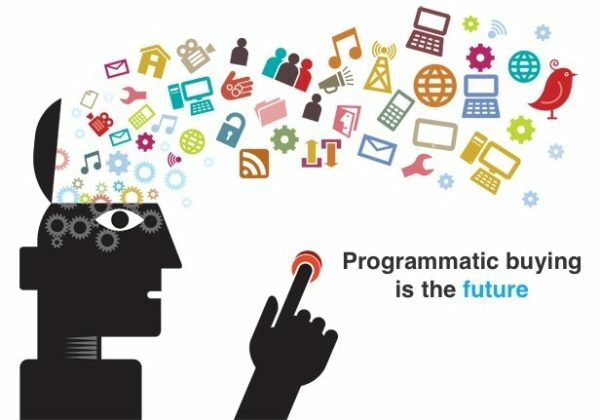 Programmatic is the future of digital advertising in a world which becomes more and more driven by technology.